ABSCICON Astrobiology Science Conference 2015: Habitability, Habitable Worlds, and Life. www.hou.usra.edu/meetings/abscicon2015. This June event in Chicago with many premier presenters conveys how these Earthwise frontiers of a fertile genesis cosmos that fills itself with an evolutionary emergence of ovular bioplanets presages such a 21st century revolution. The list of papers and posters runs into the hundreds. The week opened with a plenary talk by James Kasting on Sustained Habitability on a Dynamic Early Earth. Concurrent sessions each day such as The Diversity of Worlds: Comparative Planetology and Habitability, Major Transitions in Evolution: Catalysts and Constraints, and Laws of Life: Exploring Universal Biology proceeded to imply an inherently life-friendly universe. Extended abstracts are available on a Program page, everyone in the field seemed to speak such as Sara Walker, Paul Davies, Lisa Kaltenegger, Leroy Cronin, Nigel Goldenfeld, Charles Lineweaver, Robert Hazen, and Abel Mendez. A few titles are Chance and Necessity in the Mineral Evolution of Terrestrial Planets, On Detecting Biospheres from Thermodynamic Disequilibrium in Planetary Atmospheres, and The Emergence of Life as a First Order Phase Transition. See also AbSciCon 2017 in Organic Cosmos for a further focus on Diverse Life and its Detection on Different Worlds, by a similar stellar cast. European Space Administration. www.lifeinuniverse.org/noflash/liu. An informative, graphic exposition from Cosmology to the Origin of Life and onto Social Implications. List of Interstellar and Circumstellar Molecules. en.wikipedia.org/wiki/List_of_interstellar_and_circumstellar_molecules.. A comprehensive, up-to-date Wikipedia posting that in March 2014 cited over 200 complex, mostly organic, compounds in the cosmic spacescape. They are neatly arranged in classes of diatomic, triatomic, then four to ten or more atoms, denatured, and others. National Aeronautics and Space Administration NASA. 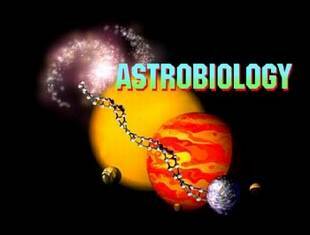 www.astrobiology.arc.nasa.gov. One of the premier science and cosmic panorama sites on the Internet. Anbar, Ariel and Edna DeVore. The Astrobiology Science Conference 2008. Astrobiology. 8/2, 2008. An introduction to the Abstracts from 39 Sessions with hundreds of papers across the widest range that a sentient bioplanet beginning to survey its natural, solar, galactic, and cosmic environs could obtain. For an example of topics: Human Exploration of Mars, Astrovirology, Habitable Extrasolar Planets, Universal Intelligence, and Microbial Consortiums. Plenary speakers included Sir Martin Rees, Paul Davies, and Sara Seager. The above authors note that this annual Santa Clara, CA meeting began modestly in 2000 and is now a major international event. But a common philosophical vista and quest is not joined in the contributions which could realize a greater phenomenal, self-witnessing genesis. Yet our sample quotes can convey an imminent, salutary cosmic Copernican revolution if we might be so mindful. Arney, Gilda, et al. Organic Haze as a Biosignature in Anoxic Earth-like Atmospheres. International Journal of Astrobiology. 18/4, 2018. GA and Shawn Domagal-Goldman, NASA Goddard Space Flight Center, and Victoria Meadows, NASA Astrobiology Institute, report how the early Earth (Archean eon 3.8–2.5 billion years ago) was covered a complex haze such as biogenic organic sulfur gases (CS2, OCS, CH3SH, and CH3SCH3) within complex clouds of precursor chemicals. As this vital envelope becomes more specified, its properties can serve as a reference for evaluating exoplanets with regard to their relative habitability. Bains, William. What do We Think Life Is? International Journal of Astrobiology. Online September, 2013. A British astrobiologist associated with Earth and Planetary Sciences, MIT, and SENS Research Foundation Laboratory, Cambridge, UK, contends that this fledgling field needs a better definition of what “living things” are to rightly proceed. Four vital properties are then cited: complex structure, dynamic self-maintenance, natural groups of organisms, and an internal formative code. These qualities are also seen to complement the “programme-metabolism-container” triad of theorist Mark Bedau and others. Berne, Olivier and A. G. G. M. Tielens. Formation of Buckminsterfullerene (C60) in Interstellar Space. Proceedings of the National Academy of Sciences. 109/401, 2012. As the Abstract details, Leiden University astrochemists are able to add the discovery of this megamolecule to a conducive nebulae nursery filled with complex biological precursors. Bishop, Shawn and Ramon Egli. Discovery Prospects for a Supernova Signature of Biogenic Origin. Icarus. 212/2, 2011. As the Abstract details, European astrophysicists report a remarkable indication of a biologically active and intrinsically fecund interstellar milieu. The Abstract contains the fascinating technical details. Who are we Homo Sapiens to be able to do and find such revelations? Blandford, Roger, Chairperson. New Worlds, New Horizons in Astronomy and Astrophysics. Washington, DC: National Academies Press, 2010. A report of the Committee for a Decadal Survey of Astronomy and Astrophysics of the National Research Council, available in full text and color online at the NAP site, Google title keywords. We quote one sample of its multi-media scope and forward-looking optimism. A grand collaborative mission statement indeed, albeit national, but quite at odds and in contrast with the despair of physical cosmologists convinced to their satisfaction of a hostile, moribund multiverse. Surely this dichotomy needs to be faced and resolved. Boss, Alan, et al. Bioastronomy 2004 Abstracts. Astrobiology. 4/2, 2004. The issue contains over 200 abstracts from this meeting in Reykjavik, Iceland in July. Held every three years under the auspices of the International Astronomical Union, the papers range widely from definitions and origins of life, how stars and planets form, satellite explorations, to the evolution and role of intelligence and technology.